The aim of this report is to holistically analyze the response of the Federal Republic of Nigeria to the threat posed by Boko Haram and its affiliates. Over the last few years, significant developments have provided the country with a legal and counter-terrorism (CT) framework in line with international counterterrorism legal instruments. These efforts culminated with the publication of the revised version of the National Counter Terrorism Strategy (NACTEST) in 2016 and in August 2017 with the Policy Framework and National Action Plan for Preventing and Countering Violent Extremism (PCVE). While these steps have established the necessary “conceptual” starting point for a more concerted effort to counter the threat posed by Boko Haram, further efforts are needed at the strategic, operational and tactical levels. Even though the NACTEST envisaged a coordination role for the Office of National Security Adviser (ONSA) CT, the primary responsibility for combating terrorism in the country remains with the Nigerian military. In fact, insecurity has significantly reduced the national authorities’ ability to exercise any form of control in vast areas in the northeast of the country, where the military is fighting Boko Haram. Overall, national authorities involved in CT and border security do not possess strong analytical expertise, coordination and information sharing remains of concern, and collected data are not systematically integrated for analysis. In fact, despite the government’s willingness to increase coordination and cooperation among all the agencies involved in the broader realm of counter-terrorism, border security, and cross-border crime, it has yet to produce any concrete results. When coupled with the lack of technical equipment, services and infrastructure, this situation has significantly reduced the authorities’ capability to respond effectively to the challenges posed by the current operational landscape. The national CT strategy is developed around five main work streams: Forestall; Secure; Identify; Prepare; and Implement (NACTEST, 2016). After having defined the security environment, this paper will walk the reader through the most significant aspects of the strategy in an attempt to underline what has been done and to discuss the challenges posed by the security/operational/institutional environment to its effective implementation. The complex set of actors, relationships, and local and power dynamics which characterizes northeastern Nigeria has created fertile ground for religious struggle. Boko Haram – originally named Jama’atu Ahlis Sunna Lidda’awati wal-Jihad, or ‘People Committed to the Propagation of the Prophet’s Teachings and Jihad’ – has emerged as a product of this complex environment. Since appearing as a religious movement in the 1990s, the group has primarily been active in Nigeria’s northern states of Borno, Yobe and Adamawa. It has also had negative influences on other countries, primarily those in the Lake Chad region – Chad, Niger and Cameroon. Boko Haram claims to adhere to the Salafist school of Sunni Islam. Its main goals are to reject any western influence and to establish an Islamic state in the northeast of the country based on sharia law (Blanchard and Husted, 2016; Smith, 2016; Jane’s, 2018a). Since its establishment, the group has seen internal fragmentation which culminated in March 2015 with a pledge of allegiance to the self-styled Islamic State (IS) and a new name – Wilayat Gharb Afriqiyya – or ‘Islamic State’s West Africa Province’. This decision elevated Boko Haram’s stature as a global militant Islamist group. In August 2016, internal power dynamics resulted in the group splitting into two main factions: one led by Abu Musab Al-Barnawi – officially supported by Abu Bakr al-Baghdadi as the leader of IS in Nigeria – and the other by Abubakar Shekau – the successor of the group founder and spiritual leader Mohammed Yusuf, who was killed by the Nigerian security forces in 2009 in the city of Maiduguri. In addition to these two main factions, the group’s umbrella includes the Yusufiya Islamic Movement (YIM), Jama’atu Ansarul Muslimina Fi Biladis-Sudan (Ansaru), and minor splinter groups which have emerged following ideological, strategic and ethnic divergences. The group is known to have developed operational links with Al-Qaeda in the Islamic Maghreb (AQIM), offshoots of the Islamic State in Libya, and Harakat al-Shabaab al-Mujahideen in Somalia, though the extent of these relations remains largely unknown (Jane’s, 2018a). In terms of targeting patterns, the group has indiscriminately attacked both conflict and non-conflict actors mainly through hit-and-run assaults, ambushes, assassinations and kidnappings of Western expats and local civilians. Perhaps the most publicized kidnapping took place in April 2014, when 276 girls were abducted from their dormitory in the north-eastern town of Chibok by Boko Haram, sparking global outrage and calls for their safe return. A similar episode occurred this past February, when Boko Haram abducted 110 students following an attack at a girl’s school in Dapchi, Yobe State. According to the government, the victims were released unharmed on 21 March (Onuah, 2018). Despite repeated claims of success by the current political establishment, in 2017 the group was responsible for the death of at least 1,618 people in Borno state alone – the epicenter of the conflict (EASO, 2018, p.9). While the security measures taken under the Buhari administration have to some extent managed to contain the threat in the northeast, the operational environment continues to challenge the security forces, with a total of 145 attacks recorded in Borno and neighboring states since the beginning of 2018 (Jane’s, 2018). Overall, the security context in the northeast of the country remains extremely fluid and volatile and the group still has the capability to conduct operations in the broader region of the Lake Chad Basin. According to the International NGO Safety Organization (INSO), ‘the spiral of violence between the AOG and local security forces has triggered massive population displacements (more than one million IDPs), while an estimated 20,000 people have been killed by Boko Haram directly, or collaterally as a result of operations conducted against them’ (INSO, 2018). Presently, according to the UNHCR (2018a), there are 2,244,678 Internal Displaced Persons (IDPs) in the region, including 211,516 Nigerian refugees in Cameroon, Chad and Niger as of the end of April 2018. In January 2018 alone, over 5,000 individuals were forcibly displaced due to ongoing military operations aimed at dismantling Boko Haram in Borno State (UNHCR, 2018b, p.1). The effort to provide Nigeria with a comprehensive legal framework for combating terrorism was formalized with the introduction of the Terrorism Prevention Act on February 17, 2013. It amended the country’s first counterterrorism law, which was passed in 2011. The Act mainly sought to promote inter-agency counter-terrorism efforts, set the responsibilities of the different stakeholders, and define their specific functions, including the possibility for law enforcement agencies to detain and prosecute individuals suspected of terrorism. Most importantly, the document provides the ONSA with the responsibility for aligning counterterrorism efforts between security and law enforcement agencies, including the Attorney General of the Federation (AGF) , which, in turn, ensures that Nigeria’s CT framework is in line with international counter-terrorism legal instruments. The ONSA falls under the supervision of the Federal Ministry of Interior and serves the President as the chief advisor on national security issues, particularly in terms of counter-terrorism. The ONSA’s primary responsibility is to harmonize and ensure synergy among security forces operating in the realm of counterterrorism – the Department of State Service (DSS), the National Intelligence Agency (NIA), the Police, the Armed Forces, and other government authorities. While the amended version of the Terrorism Prevention Act provided the country with the necessary legal framework to counter terrorist threats, the policy framework for counter-terrorism is primarily enshrined in the NACTEST. The document was first adopted by President Goodluck Jonathan in April 2014 and was subsequently followed by a second version released by President Buhari’s administration in August 2016. The NACTEST institutionalized the position of the Counter-Terrorism Center (CTC) within the ONSA’s structure in order to coordinate the implementation of the national CT strategy and oversee security and intelligence operations in the country. The ONSA does not have statutory executive functions but does have an advisory role. This arrangement has been criticized on several occasions as a potential obstacle to the effective implementation of the strategy (Eji, 2016; Onapajo, 2016). An essential goal of the National CT Strategy is to reduce the likelihood of a terrorist attack by addressing structural, geographical, and operational vulnerabilities which could be exploited by Boko Haram and its affiliates. In terms of structural and operational vulnerabilities, despite the Federal Government of Nigeria’s willingness to foster coordination among all the agencies involved in border security, cross-border crime and CT, at the operational level this has yet to produce any concrete result. Even though NACTEST clearly envisaged the ONSA/CTC’s CT coordination role, the primary responsibility for combating terrorism in the country continues to fall to the Nigerian military. Previously, the military was largely deployed to respond to the crisis in the Niger Delta, but since the successful 2009 amnesty, thousands of troops have been redeployed to the northern battlefields. There, the bulk of the approximately 100,000 strong force is operating within the ongoing operation Lafiya Dole (Peace by Force) to counter Boko Haram and its offshoots in the broader region. 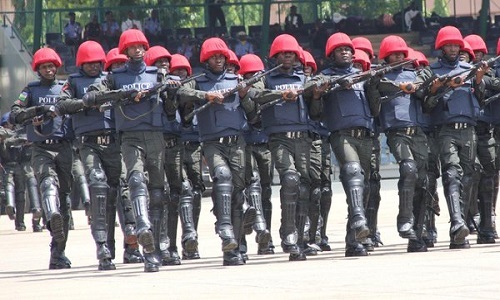 The number of Nigerian National Police currently stands at 400,000, however, the majority of the personnel do not possess training, and/or technical skills. As for the military, it has been accused of corruption and human rights abuses (Jane’s, 2018b, pp.2-23). The military also maintains an operational presence on other internal fronts. For example, forces are deployed in the central Plateau state to reduce ethno-religious tensions and in the Niger Delta to interdict the lucrative kidnapping business of the so-called ‘oil militias’, especially following oil supply disruptions and an increase in pipeline sabotage attacks in 2016 (Ibid, p.5). At the operational/tactical level, in early 2014, the Nigerian Ministry of Defence announced the formation of the Nigerian Army Special Operations Command (NASOC) to conduct CT/COIN operations against Boko Haram and its offshoots. The NASOC plugs into the existing special operations forces (SOF) architecture, coordinating its activities with the Special Boat Service (SBS) of the Nigerian Navy. In addition, a recently established Nigerian Air Force Special Forces Regiment (NAF SFR) will provide SOF with ‘the ability to protect expeditionary landing sites as well as support ground and maritime forces with CAS and a CSAR capability’ (Jane’s, 2018c, p.2). In June 2015, in a strong sign of President Muhammadu Buhari’s determination to dismantle the Islamic militant networks in the northern states, Abuja took the lead of the Multi-National Joint Task Force (MNJTF). The MNJTF is made up of contingents from Nigeria, Cameroon, Chad, Niger and Benin. It replaced and formalized the structure of the previous ‘ad-hoc’ military coalition and included Benin as a contributing country. The establishment of a command and Control Centre in the Maiduguri (MCCC) in early 2015 has provided the military with the capability to monitor, coordinate, and control its operational efforts from the epicentre of the crisis (Ibeh, 2015). In addition, an internal restructuring within the military along with the commitment to increase military expenditures to have better equipped troops on the ground have resulted in the arrest of militant leaders, tactical successes and the recapture of Boko Haram’s strategic strongholds – namely most of Adamawa State, Chibok in southern Borno State and the vast Sambisa Forest. As underlined by Jane’s (2018b, pp.5-6), ‘Boko Haram has made no bids to try and occupy territory since March 2015, when the Nigerian army recaptured the group’s stronghold in the North of the country.’ In 2018, the defence budget will see a 22% nominal increase compared to 2017 – NGN 574 billion (USD 1.6 billion) – 0.4% of Nigeria GDP (Jane’s, 2018d). It is worth underlining that the EU politically and financially supports the MNJTF with over 200 million euros which have already been allocated to address the humanitarian crisis and to support development in northeastern Nigeria. At the tactical level, however, the last few years have seen the militant group changing its modus operandi, returning to asymmetric tactics to fill the operational gap created by the new security environment, especially in hit-and-run tactics and suicide attacks (Jane’s, 2018a). Despite repeated claims by the government that Boko Haram has been technically defeated (BBC, 2015), at the end of 2017 Boko Haram cadres attacked a military base in northeast Nigeria to show that they retain the capability to challenge the security forces directly (News24, 2017). In addition, in January 2018 12 people were killed and 48 others wounded in a concerted suicide attack in Maiduguri (Kingimi and Lanre, 2017). These attacks. along with the kidnapping of the students in Dapchi, resulted in harsh criticism of the Buhari administration, putting into question the ability of the security apparatus to exercise effective control over the northeast. Law enforcement agencies continue to be characterized by a low capacity in terms of criminal justice, intelligence sharing and effective cooperation/coordination both at the strategic and operational levels. As an example, at the different control points, border points and at the main airports, police, customs and immigration officials are collecting information and operating without any integrated national information database system. Obviously, in the struggle against Boko Haram and its offshoots, a concerted effort to gather, analyze and share information and intelligence is of paramount importance in the attempt to effectively identify vulnerabilities and counter potential threats. Border security responsibilities are shared among the Nigeria Immigration Service (NIS), police, the military and the customs. The challenging security environment in the country is the main obstacle for a government trying to exercise effective control at the borders. This is even more challenging when considering the security constraints, including the lack of sufficient border crossing points, for a government overseeing almost 5,000 km of land borders. Data is mainly gathered manually – and therefore highly subjected to bias and mistakes – and not systematically integrated for analysis. The staff of the agencies involved in border management possess limited analytical and operational expertise. This, coupled with the lack of technical equipment and the impossibility for the government to exercise any form of control in large portions of the country, represents a serious constraint in the attempt to mitigate the risk of cross-border crimes, terrorism, and other security concerns. all States shall prevent the movement of terrorists or terrorist groups by effective border controls and controls on issuance of identity papers and travel documents, and through measures for preventing counterfeiting, forgery or fraudulent use of identity papers and travel documents. In recent years, with support from the U.S. Department of State’s Antiterrorism Assistance (ATA) program, police, immigration and customs officials participated in ‘Rural Border Patrol Operations’ courses to build the law enforcement sector’s ability to improve interagency cooperation and coordination to tackle cross-border crime, smuggling, and terrorism. However, communication and coordination of activities between relevant actors remain limited or non-existent (U.S. Department of State, 2016). It is worth mentioning that within the scope of the Federal Foreign Office of Germany and German Cooperation-funded project ‘Facilitating Migration through Supporting the Rollout of Nigeria’s National Biometric Identification Card (NBIC) for Intra-ECOWAS Travel, and BIOMETRIC Registration of Foreign Nationals (NBIC-REG Nigeria)’, the NIS has recently established a system for the registration of foreign nationals coming from the ECOWAS region to mitigate the risk posed by the common mobility area (IOM, 2018). Although not directly connected with the overall NACTEST strategy, the last few years have witnessed the creation of the Joint Border Task Force (JBTF), a project sponsored by the British High Commission. The JBTF is a multi-agency project which primarily seeks to foster intelligence sharing to dismantle criminal networks involved in trafficking in persons. The framework of cooperation includes the UK National Crime Agency (NCA), the Home Office, the Crown Prosecution Service (CPS, the Nigerian Economic and Financial Crimes Commission (EFCC), the National Drug Law Enforcement Agency (NDLEA), and the National Agency for the Prohibition of Trafficking in Persons (NAPTIP). 4. Institutionalize, mainstream and integrate strategic communication in PCVE programs at all levels (PCVE, 2017, pp. 12-13). It is worth mentioning that in 2014 the Global Counterterrorism Forum (GCTF) established the Global Community Engagement and Resilience Fund (GCERF), the first global fund to strengthen community resilience to violent extremism. Nigeria along with Bangladesh and Mali was among the first three beneficiary countries – over $12 mn were invested in these countries over the last three years (GCERF, 2017). Through the GCERF, GCTF sought to contribute to the fulfilment of the July 2016 UN Plan of Action to Prevent Violent Extremism (A/RES/70/291). In the Plan, ‘the Secretary-General calls for a comprehensive approach encompassing not only essential security-based counter-terrorism measures but also systematic preventive steps to address the underlying conditions that drive individuals to radicalize and join violent extremist groups’ (UNOCT, 2016). This included the involvement of government agencies along with representatives of the civil society to enable communities to tailor PCVE responses to their security landscape. The current PCVE is mainly the result of this concerted effort, though the very nature of the phenomenon of violent extremism will require a long-term commitment before producing any concrete results. The policy framework will aim to strengthen ongoing government efforts to mitigate the risk of violent extremism such as the ‘Operation Safe Corridor’ – a government program launched in 2016 to rehabilitate and reintegrate Boko Haram defectors (Jummai, 2016). The ‘reintegration plan’ followed President Buhari’s 2015 amnesty program for Boko Haram affiliates and consisted in the establishment of a ‘rehabilitation camp’ in Gombe state where former Boko Haram cadres undertake four months of vocational training before being ‘reintegrated’ into the Nigerian society (Sesame and Kanayo, 2015). Of note, in March 2018 95 ex-insurgents graduated from the military ‘Operation Safe Corridor’ scheme in Mallam Sidi, Gombe state. According to Brig. Gen. Bamidele Shafa, the coordinator of the reintegration scheme, the graduates are among ‘the 254 ex militants undergoing four months de-radicalization and training program in Gombe’ (Adeolu, 2018). This, however, represents only a small step in the process of reintegrating former Boko Haram fighters into the society. Indeed, thousands of them remain in detention centers and as of today the government has yet to produce a concrete plan on how to reintegrate them. Nigerian military forces have extrajudicially executed more than 1,200 people; they have arbitrarily arrested at least 20,000 people, mostly young men and boys; they have committed countless acts of torture; hundreds, if not thousands, of Nigerians have become victims of enforced disappearance; and at least 7,000 people have died in military detention as a result of starvation, extreme overcrowding and denial of medical assistance. Aside from military operations, the strategy to counter Boko Haram in the northeast has aimed at depriving the group of the resources to sustain its insurgency campaign. This has in turn seriously damaged local economies by preventing farmers from growing tall crops – to allegedly deprive fighters suitable places to hide – and by limiting trade and business activities. In addition, the military has forced communities to vacate their villages and move to IDP camps where they have allegedly been subjected to abuses. This has increased the frustration of local communities with the security forces and is likely to result in an acceleration of radicalization of the most vulnerable if the government fails to find a long-term solution to the conflict. Another aspect which has yet to be addressed is the growing concern about children and adolescents affected by the armed conflict. This includes sexual violence, forced marriages and recruitment by armed groups. As underlined by UNICEF (2016), ‘These children face double victimization: not only are they subject to grave violations, but they also face rejection, stigmatization and, in some cases, violence when they try to return to their home communities.’ As part of its ‘child protection’ strategy, UNICEF has so far supported the reintegration of 5,280 children and adolescents formerly associated with armed groups into their communities (UNICEF, 2018). The recruitment of children is a phenomenon also involving the Civilian Joint Task Force (CJTF), which has reportedly recruited children into their ranks to fight Boko Haram and protect local communities. The CJTF is reportedly composed of approximately 25,000-27,000 individuals, organized in different militias groups. The ‘Borno Youth Empowerment Schemes’ (better known as BOYES) comprises a few thousand members and has been trained, armed and is currently being paid for by the Nigerian government to support the military CT efforts. The ‘Borno State Youth Vanguard’ has been armed without undergoing any sort of training and is not on the government payroll. Other groups have neither received training and weapons nor any financial support (Felbab-Brown, 2018). As highlighted by Vanda Felbab-Brown (2018), due to the lack of resources of the Nigerian government ‘there is a significant chance that the rivalries among the groups may give rise to violence and that at least some of the militias may resort to predation, extortion, and criminality’, let alone embracing violent extremism to challenge existing power dynamics. Due to the size of its population, the security and economic environments in the conflict areas, and its porous borders, Nigeria has experienced significant internal and external migration. According to Frontex, in 2017 Nigeria was with Syria and Ivory Coast among the top three nationalities for detections of illegal border-crossing at the EU’s external borders – Syria 19,447, Nigeria 18,309, Ivory Coast 14,300. Of these, 18,163 were detected on the Central Mediterranean migratory route with clear security implications for Italy and the broader EU (FRONTEX, 2018, p.18). The Federal Republic of Nigeria has a long-lasting relationship with the International Organization for Migration (IOM). IOM Nigeria is currently implementing the EU Commission-funded program ‘Promoting Better Management of Migration in Nigeria’. IOM’s implementation strategy is broken down into three components: Managing Irregular Migration through Immigration and Border Management, Migration Data, Policy and Labour Migration and Diaspora Mobilization. This work is complicated by the lack of reliable data on migration flows. IOM has currently established Migration Monitoring Points in the states of Kano and Sokoto (north-northwest) to obtain information on cross-border movements. The decision was driven by the fact the main migratory routes to the north (Nigeria – Niger – Libya – Italy) pass through these areas rather than for reasons related to the conflict with Boko Haram. A further two will be established in the coming months, though the exact locations have yet to be defined. This is a very important development, but the strategy will only allow for a partial overview of the country’s migratory dynamics, as only sporadic and limited data can be collected. Over the last three years, IOM has been supporting the NIS in the development and installation of ten ‘IOM Migration Information and Data Analysis Systems (MIDAS)’. Another 20 are to be established during 2018, including one at the Abuja airport and another at the port of Lagos. The system has proved extremely useful in strengthening NIS capacity to detect document fraud and to connect to the INTERPOL database in order to improve information exchange. IOM is refurbishing existing NIS check-points (with solar panels and other technical equipment) to establish MIDAS and providing NIS personnel with a proper training before deployment. There is strong cooperation between the Federal Government of Nigeria and IOM regarding returns. According to IOM, the number of Nigerian nationals returned by IOM from Libya (Tripoli) grew exponentially in the last two years. The ‘repatriation package’ consists of 100 EUR cash assistance upon arrival, transportation and reintegration assistance. Collection of information from returnees is conducted by IOM through psychosocial support sessions, run on a voluntary basis. Returnees to be interviewed are usually identified at the place of departure and – if agreed – conducted in the country of origin upon arrival. Debriefing activities in this context are of paramount importance to gather information on human rights violations, crimes witnessed or experienced by the returnees, smuggling networks, and criminal or terrorist movements along migratory routes. The mandate of UNODC is to support the Federal Republic of Nigeria in strengthening the rule of law and human security through advisory and capacity building activities, in line with the international treaties against drugs, crime and terrorism. UNODC activities plug into the NACTEST by supporting the Nigerian criminal justice officials to ‘effectively investigate, prosecute, and adjudicate terrorism cases, in accordance with the rule of law and human rights’ (UNODC, 2018a). UNODC strongly contributed to the development of the Nigerian Policy Framework and National Action Plan for Preventing and Countering Violent Extremism (PCVE). The Terrorism Prevention Branch (TPB) of the UNODC cooperates and coordinates its activities with the Counter-Terrorism Committee (CTC) of the Security Council and its Executive Directorate (CTED). The TPB provides CT legal technical assistance to Member States and ‘complements and reinforces the policy, monitoring and facilitation work of the CTC and CTED’ (UNODC, 2018b). UNODC has been cooperating with the Nigerian Government since 2001 to implement projects designed to strengthen its justice sector. Since 2013, through the EU-Nigeria-UNODC-CTED partnership project, UNODC has sought to assist Nigeria to strengthen the capacity of its officials to investigate and prosecute terrorism cases in accordance with the rule of law and human rights. In April 2018, the EU-Nigeria-UNODC-CTED partnership project was extended for an additional three years. The program builds on the results achieved under the previous EU-Nigeria-UNODC-CTED project, which recorded 82 capacity building activities, including extensive training for investigators, legal advisors, defense attorneys, prosecutors, and judges. During the last two years UNODC, working in collaboration with the relevant national authorities, also produced a manual on counter-investigations for use by police practitioners and trainers (UNODC, 2018). 6. Reducing the sympathy and support among communities for violent extremism (U.S. Department of State, 2018). In terms of regional cooperation, on 16 April 2018, Lt. Gen. T.Y. Buratai, Chief of Staff for the Nigerian army, welcomed the African Land Forces Summit (ALFS) 2018 in Abuja, attended by the military commanders of 40 African countries along with representatives from Europe, Brazil and the U.S. The purpose of the summit was to strengthen regional cooperation and create a platform for information sharing in order to respond to Africa’s security challenges. During his opening remarks, Buratai stated ‘the African Land Forces Summit is the single largest gathering of African senior military leaders and other Army chiefs from across the globe on the (African) continent,’ and continued, ‘(ALFS) affords the African countries the avenue to share experiences on global terrorism’ (Garza, 218). 5. While the past years have witnessed an increased commitment of the international community to support the justice system, the lack of coordination and cooperation between CT actors has hindered the attempts to effectively investigate and prosecute terrorism cases. Given the gaps highlighted above, a review of the current Nigerian CT approach seems necessary. The focus of this effort should address the operational gaps of the NACTEST’s main work streams, with the role of the CTC within the ONSA’s structure as a priority. This work, as underlined by Eugene Eji (2016, pp.210-211), ‘facilitates the interface between counter-terrorism policymaking and counter-terrorism implementation’, a necessary condition to foster cooperation and coordination among CT actors. Adelou, Y. (2018) ‘Operation Safe Corridor: 95 ex-insurgents graduates from training in Gombe’, today ng, 1 March. Available at: https://www.today.ng/news/nigeria/operation-safe-corridor-95-insurgents-graduates-training-gombe-91953 [Accessed 6 Mach 2018]. Amnesty International, 2015. Stars on Their Shoulders. Blood on Their Hands. War crimes committed by the Nigerian military. [pdf] Available at https://www.amnesty.org/download/Documents/AFR4416572015ENGLISH.PDF [Accessed 25 April 2018]. BBC, 2015. Nigeria Boko Haram: Militants ‘technically defeated’ – Buhari. [online]. Available at: http://www.bbc.com/news/world-africa-35173618 [Accessed 12 April 2018]. Blanchard, L. and Husted, T.F., 2016. Nigeria: Current Issues and U.S. Policy. [pdf]. Available at: https://fas.org/sgp/crs/row/RL33964.pdf [Accessed 12 March 2018]. European Asylum Support Office (EASO), 2018. Country Intelligence Report Nigeria. [pdf]. Available at: https://www.easo.europa.eu/information-analysis/country-origin-information/country-reports [Accessed 20 April 2018]. European Border and Coast Guard Agency (FRONTEX), 2018. Risk Analysis for 2018 Country. [pdf]. Available at: https://frontex.europa.eu/publications/risk-analysis-for-2018-aJ5nJu [Accessed 20 June 2018]. Felbab-Brown, V. (2018) ‘Nigeria’s Troubling Counterinsurgency Strategy Against Boko Haram: How the Military and Militias Are Fueling Insecurity’, Foreign Affairs, 30 March. Available at: https://www.foreignaffairs.com/articles/nigeria/2018-03-30/nigerias-troublingcounterinsurgency-strategy-against-boko-haram [Accessed 15 April 2018]. Garza, J. (2018) ‘African Land Forces Summit 2018 kicks off in Nigeria’, U.S. Army, 17 April. Available at: https://www.army.mil/article/203950/african_land_forces_summit_2018_kicks_off_in_nigeria [Accessed 20 April 2018]. Global Community Engagement and Resilience Fund (GCERF), 2017. Strategy to Engage Communities and Address the Drivers of Violent Extremism (2017-2020). [pdf]. Available at: http://www.gcerf.org [Accessed 14 April 2018]. Ibeh, N. (2015) ‘Boko Haram: Nigerian military moves command centre to Maiduguri’, Premium Times, 8 June. Available at: https://www.premiumtimesng.com/news/headlines/184543-boko-haram-nigerian-military-moves-command-centre-to-maiduguri.html [Accessed 15 March 2018]. International NGO Safety Organization (INSO), 2018. Nigeria: Context analysis. [online]. Available at: http://www.ngosafety.org/country/nigeria [Accessed 18 February 2018]. International Organization for Migration (IOM), 2018. [online] Available at: https://www.iom.int/countries/nigeria [Accessed 30 April 2018]. Jane’s Amphibious and Special Forces, 2018c. Nigeria – Special Operations Forces. [pdf]. Available at: https://my.ihs.com/Janes?th=JANES&callingurl=https://janes.ihs.com [Accessed 18 June 2018]. Jane’s Sentinel Security Assessment – Central Africa, 2018c. Defence Budget Overview. [pdf]. Available at: https://my.ihs.com/Janes?th=JANES&callingurl=https://janes.ihs.com [Accessed 18 June 2018]. Jane’s Sentinel Security Assessment – West Africa, 2018a. Non-State Armed Groups. [pdf]. Available at: https://my.ihs.com/Janes?th=JANES&callingurl=https://janes.ihs.com [Accessed 18 June 2018]. Jane’s World Armies, 2018b. Nigeria – Army. [pdf]. Available at: https://my.ihs.com/Janes?th=JANES&callingurl=https://janes.ihs.com [Accessed 18 March 2018]. Jummai, A. (2016) ‘Amnesty: Nigerian Military Launches ‘Operation Safe Corridor’ For Boko Haram Terrorists’, The Trent, 6 April. Available at: https://www.thetrentonline.com/amnesty-nigerian-military-launches-operation-safe-corridorboko-haram/ [Accessed 12 March 2018]. Kingimi, A. and Lanre, O. (2018) ‘Suspected Boko Haram suicide bombers kill 12, injure 48’, Reuters, 17 January. Available at: https://www.reuters.com/article/us-nigeria-security/suspected-boko-haram-suicide-bombers-kill-12-injure-48-idUSKBN1F627C [Accessed 10 March 2018]. News24, (2017) ‘Boko Haram tries to take over military base in NE Nigeria’, News24, 14 December. Available at: https://www.news24.com/Africa/News/boko-haram-tries-to-take-over-military-base-in-ne-nigeria-20171214 [Accessed 15 March 2018]. Office of the National Security Advisor, 2016. National Counter Terrorism Strategy (NACTEST), 2016. [pdf]. Available at: http://ctc.gov.ng/onsa-reviews-national-counter-terrorism-strategy-nactest/ [Accessed 18 February 2018]. Office of the National Security Advisor, 2017. Policy Framework and National Action Plan for Preventing and Countering Violent Extremism (PCVE). [online] Available at: http://ctc.gov.ng/pcve-nsa-book/ [Accessed 12 April 2018]. Onuah, F. (2018) ‘Nigeria says 110 girls unaccounted for after Boko Haram attack’, Reuters, 26 February. Available at: https://af.reuters.com/article/africaTech/idAFKCN1GA0LL-OZATP [Accessed 15 March 2018]. Sesan, K. and Kanayo, K. (2015) ‘President Buhari Approves Amnesty For Boko Haram (DETAILS)’, The Trent, 6 August. Available at: https://www.thetrentonline.com/just-in-president-buhari-approves-amnesty-for-boko-haram-details/ [Accessed 12 March 2018]. Smith, M. (2016) Boko Haram: Inside Nigeria’s Unholy War. New York, NY: I.B. Tauris & Co. Ltd.
Federal Republic of Nigeria. Terrorism Prevention Amendment Act, 2013. [pdf]. Available at: http://ctc.gov.ng/onsa-reviews-national-counter-terrorism-strategy-nactest/ [Accessed 20 May 2018]. U.S. Department of State, 2016. Coiuntry Reports on Terrorism 2016. [pdf]. Available at: https://www.state.gov/documents/organization/272488.pdf [Accessed 15 May 2018]. United Nations High Commissioner for Refugees (UNHCR), 2018. Nigeria Situation: UNHCR Situational Update 01-31 January 2018. [pdf]. Available at: https://reliefweb.int/report/nigeria/nigeria-situation-unhcr-situational-update-01-31-january-2018 [Accessed 20 April 2018]. United Nations Children’s Fund (UNICEF), 2016. UNICEF Annual Report: Nigeria. [online] Available at: https://www.unicef.org/about/annualreport/files/Nigeria_2016_COAR.pdf [Accessed 25 April 2018]. United Nations Children’s Fund (UNICEF), 2018. Nigeria. [online] Available at: https://www.unicef.org/appeals/nigeria.html [Accessed 25 June 2018]. United Nations General Assemby, 2016. A/RES/70/291. [pdf] Available at: http://www.un.org/en/ga/search/view_doc.asp?symbol=A/RES/70/291 [Accessed 6 February 2018]. United Nations Office of Counter Terrorism (UNOCT), 2016. Plan of Action to Prevent Violent Extremism. [online]. Available at: https://www.un.org/counterterrorism/ctitf/en/plan-action-prevent-violent-extremism [Accessed 6 April 2018]. United Nations Office on Drugs and Crime (UNODC), 2018b. EU-Nigeria-UNODC-CTED Partnership Project III. Support for Criminal Justice Responses to Terrorism and Violent Extremism. [online] Available at: https://www.unodc.org/brussels/en/eu-nigeria-unodc-cted-partnership-project-ii.html [Accessed 26 April 2018]. United Nations Office on Drugs and Crime (UNODC), 2018. Partnership with United Nations System Entities. [online] Available at: https://www.unodc.org/unodc/en/terrorism/partnerships/CTC_CTED.html [Accessed 26 April 2018]. United Nations Security Council, 2014. S/RES/2178. [pdf] Available at: https://www.un.org/sc/suborg/en/s/res/2178-%282014%29 [Accessed 6 April 2018].